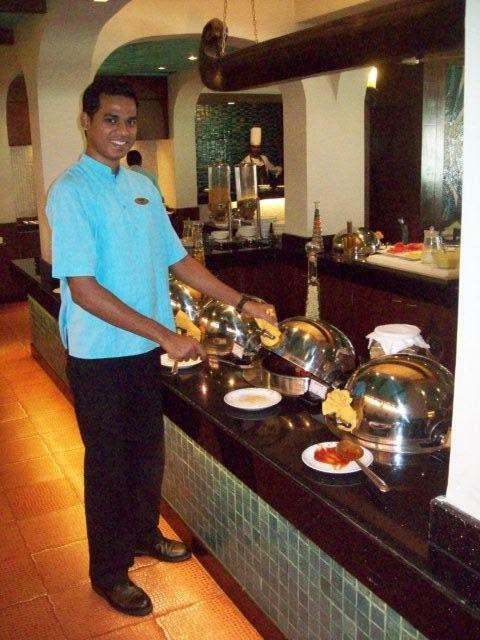 All the staff were positive, smiling and friendly at all times – from the room cleaner, to the chef and General Manager. The accommodation was clean and tidy to a very high standard. The food was unbelievable – very fresh and diverse with a wide range of choices and cuisine from different parts of the world. Also it was 80% vegetarian, making it accessible to all. The recipes seemed to be health conscious and tasty at the same time, a rare feat. Despite the large size of the hotel, there was great attention to personal detail and service. My father had a very restricted Jain diet, but the chef personally came to see us and made for him whatever he preferred. In the West, I have often found dietary restrictions to be seen as a fuss and a problem for the host. Here, it was seen as an opportunity to make new recipes and food. My elderly father is disabled, but they made a special effort to accommodate him and provide him with access and support. We often talk in the world today about respect, and all of us love to be respected. However giving respect with love and unconditional warmth is much harder, and it was a joy to see this. A lot of the staff and waiters were very young, and their positivity gave me great hope for the future. Hospitality is a unique skill and culture that lies at the heart of respect. 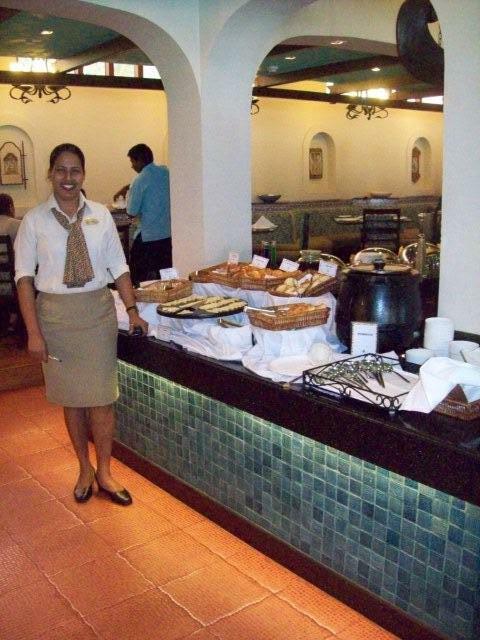 In India, there is a motto ‘Atithi Devo Bhavah’ – a guest is like a God. There is a big national campaign around it which you can view here. It is fronted by the famous film actor Amir Khan. I saw this motto in living action in the 21st century and this is a great statement of hope for the future of India. Good Hospitality requires us to go beyond our skin and feel the pain and discomforts of another, and not be afraid to sacrifice our time and skills to satisfy our visitors. It is not just about food or hotels, but a spirit and a value from which we could all benefit hugely. Good hospitality leads to good relationships – and where will these take us? At a time when the whole world is desperately talking about sustainability, we need to understand that good relationships lie at the core of sustainability, and must never forget the huge power and importance of hospitality. Britain has a lot to learn from the hospitality spirit of India. We need to learn to smile more, to give more and to not only be polite superficially, but deep down inside our spirits. We need to see others as ourselves, and build a culture of humility and hospitality. And the sharing of food lies at the core of hospitality, so we need to invest much more effort and energy in this area. As I write this, my wife has been preparing for her School fete outside office hours, making gingerbread biscuits for ‘her class children’ and other foods for them to try and enjoy. There is a spirit and an ethic of love and compassion, which hopefully will spread – as I am doing through this article about my experience in India. Feel free to spread it and energise the global spirit of hospitality.